I just finished giving feedback to my students on the concept mapping assignment they’re busy with. It’s the first time I’ve used concept mapping in an assignment and in addition to the students’ learning, I’m also trying to see if it helps me figure out what they really understand about applying the theory we cover in class to clinical contexts. They’re really struggling with what seem to be basic ideas, highlighting the fact that maybe the ideas aren’t so basic after all. I have to remind myself that clinical reasoning is a skill that takes many years to develop through reflection and isn’t really something I can “teach”. Or is it? For this assignment I wanted the the students to set a learning objective for themselves (I gave examples of how to do this, including using SMART principles of goal setting). They also needed to highlight a particular clinical problem that they wanted to explore and how they would use concepts from the Movement Science module to do this. They needed to describe a clinical scenario / patient presentation and use it to identify the problem they wanted to explore. From that short presentation, they should derive a list of keywords that would become the main concepts for the concept map. After going through their initial drafts, I had another session with them to go through the feedback I’d given and providing more examples of what I expected from them. This assignment is proving far more difficult for the students than I’d expected. However, I’m not sure if it’s because they can’t apply theoretical concepts to clinical scenarios, or if they just don’t have a good understanding of how to create concept maps. I think that they’re having difficulty thinking in terms of relationships between concepts. The maps they’ve been drawing are appropriate in terms of the interventions they’d choose to manage their patients, but the students can’t seem to transfer the concepts from the classroom into clinical contexts. They’re used to memorising the content because that’s how we assess them i.e. our assessments are knowledge-based. Then they go into clinical contexts and almost have to re-learn the theory again in the clinical environment. There doesn’t seem to be much transfer going on, in terms of moving knowledge from the classroom context to the clinical one. I haven’t researched this yet, but I wonder what sort of graduate we’d get if we scrapped classroom teaching altogether and just did everything on the wards and in the clinics? I understand the logistical issues of an apprentice-based approach to teaching large groups but if we didn’t have classroom time at all, maybe it’d be possible? Hi there. Thanks for getting in touch. Almost all of our students have difficulty applying the knowledge they learn in the classroom environment to a practical context in the clinic, so you’re definitely not alone. I appreciate you wanting to learn more about the process, but I’m not sure if it’d do much good to send you a concept map. Maybe if you give me an example of something specific that you’re having difficulty with, I can help you to see how you might be able to use a concept map to develop your understanding around whatever it is you’re struggling with. 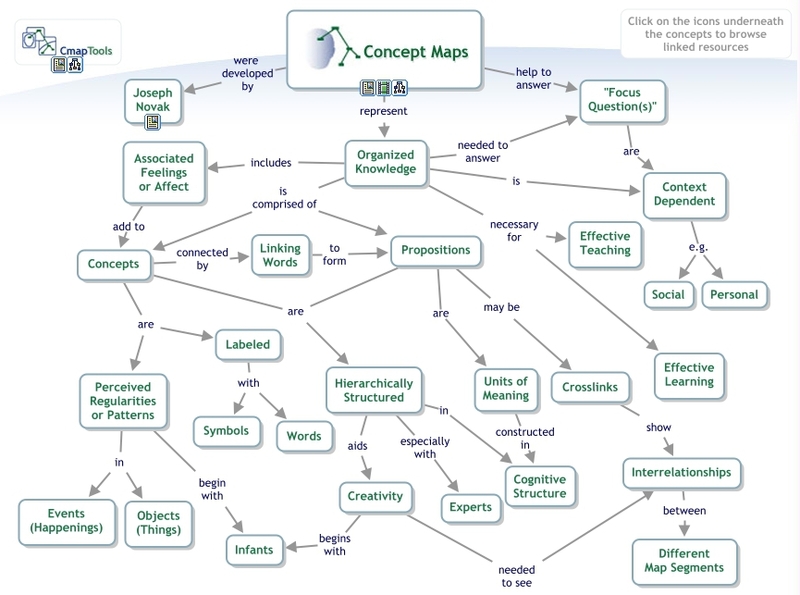 You need a specific question or topic that you’d like to explore further and then use the concept map as a tool to do the exploring. I am in my first year of nursing school and I sstruggle with this transition too. I would love to see an example of one of your concept maps. I think this would be helpful to to actaully see how you (as a instructor) does this. I am a visual learner so when I see something it helps me to understand what is being explained in writing.